I have had the Easy VHS to DVD3 program for a while. I wasnt getting a video signal and I thought something was maybe wrong with my coords, so like a dummy I went and bought the program all over again! ​I still get no video signal to my computer but if i place the plugs into my television I can see the video playing from the VCR just fine. I have installed, reinstalled, tried to fogure out everything i possibly can be doing wrong. I am far from being an idiot but I HAVE to have this dine by tomorrow and I think I might cry, someone please please help!! It sounds as though you did not get the Driver properly installed. Unplug the EVD capature device and place in another room. Insert the software disc and run Install. It will reach a point where Repair is offered. Choose that! At the end, reboot and go get the Capture Device. I'm using Roxio's VHS to DVD 3 Plus. And I too am getting VCR Audio on my laptop but no Video. Please reference the attached pictures. 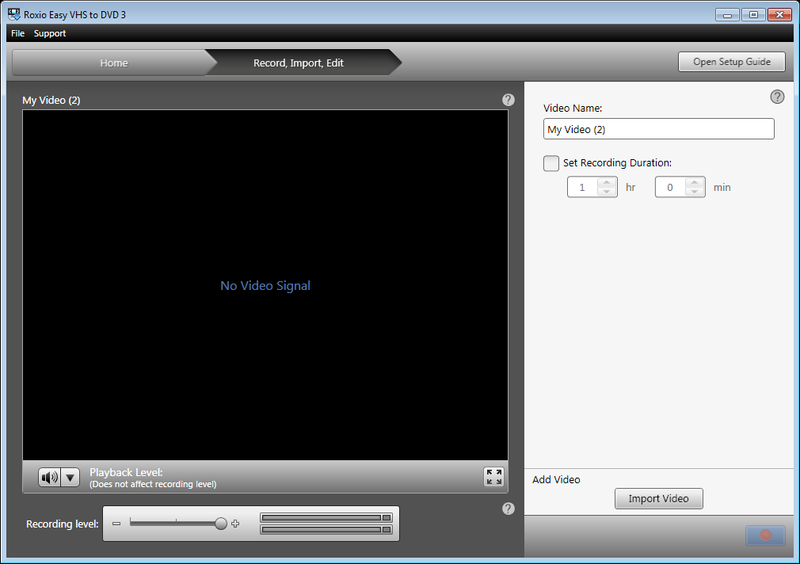 My Roxio video capture device is connected to my laptop via a USB 2.0 port. Red & White Audio cables, and an S-Video adaptor connect the Roxio device to my VCR. I installed from the CD, hooked everything up, then ran the software. I've also reinstalled/repaired the software several times with no improvement. 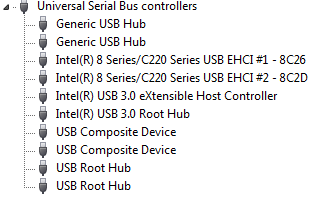 I've tried all the USB ports and that didn't help. I followed Jim's advice but that did not resolve the issue. Have you verified that the VCR is outputting a good signal. Hook the VCR directly to your TV. 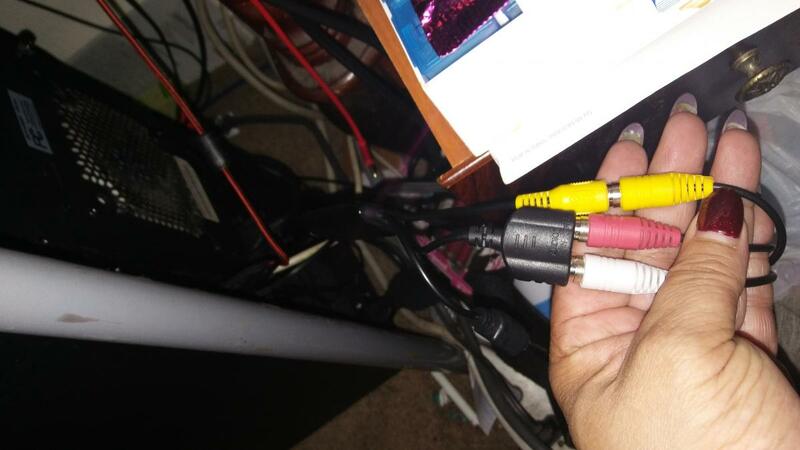 If your TV does not have a S-Video connection use a regular Composite cable (Yellow/Red/White). Yes the VCR has a good signal. I was able to watch/hear the VHS tape on my TV just fine. 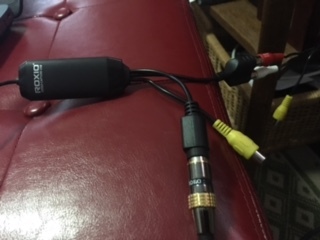 My TV doesn't have an S-Video connection, so I had to use the composite cables to the TV. Try another source, DVD/Camcorder . I don't understand what you mean. I don't have a Camcorder. 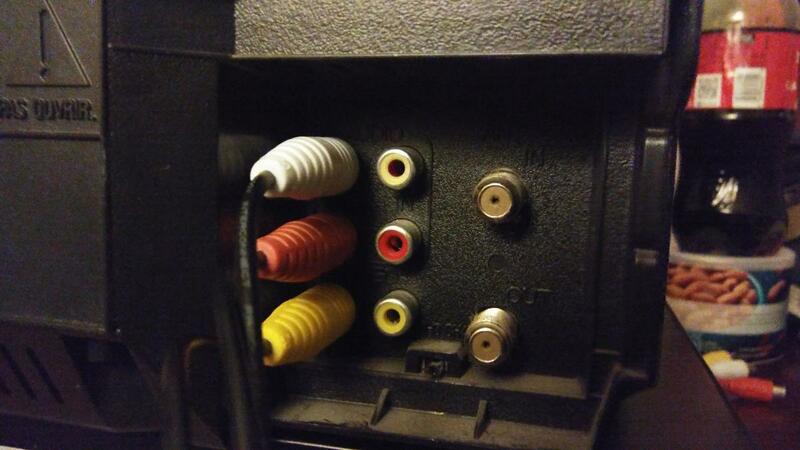 I just changed out the S-Video adaptor and used the yellow video cable instead and it worked. Unfortunately the video was much worse than watching it on my TV. Any ideas why it's not working using the S-Video adaptor? Since your TV did not have an S-Video input, that part of your problem has never been tested... It is possible the S-Video output of your VCR isn't working. Not probable, but possible. To test the output of your VCR you must find a device that accepts S-Video. One the other hand find another device that outputs S-Video so you can test your your Roxio Capture device. Or is it bad after you output it to ~ Computer, DVD, et al?